Hayduke: Brimhall Double Arch – Across Utah! 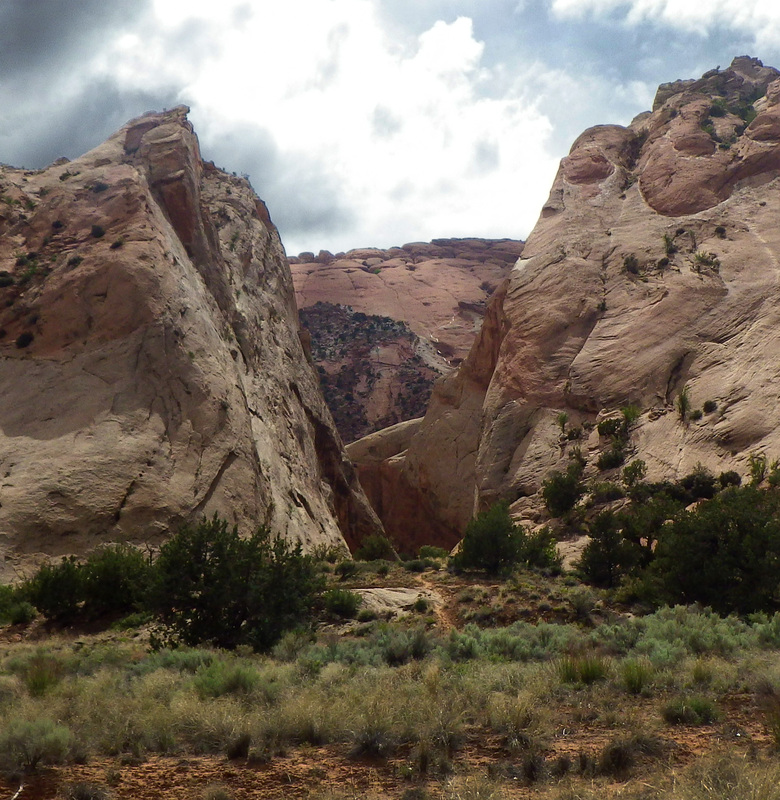 Brimhall Double Arch is only a short distance off the Hayduke Trail up a side canyon just north of the Red Slide. Though the side hike is short in distance, it’s likely to be a bit of an adventure. Getting to the viewpoint beneath the arch requires climbing a rock stack to get past a wall, possibly wading/swimming through a deep pool, and scrambling up and over many boulders. Unfortunately I’ve never done the hike back to see the arch, but if you’d like to see a good picture check out the entry on the NABS site. The site also details the ever-changing difficulty of the route. If not up for the direct route up the canyon, or merely desiring a different perspective, there are also some routes up the slickrock to get a view from above the arch (from the east). 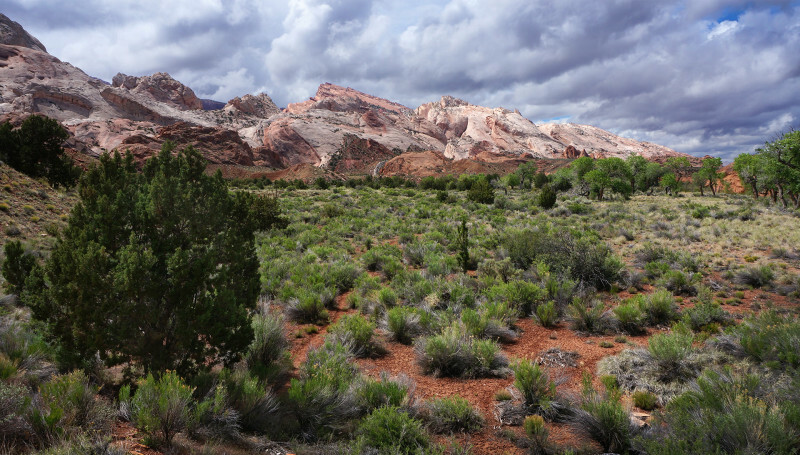 I don’t have detail on these routes, but if you have time to spend, this could be an interesting area to explore while in Capitol Reef National Park.